VCA Animal Hospitals throughout northern California are offering free boarding assistance for small animals, including dogs, cats, birds, and pocket pets, to families impacted by the area wildfires, including the Carr, Ferguson, Mendocino and Lake County fires. 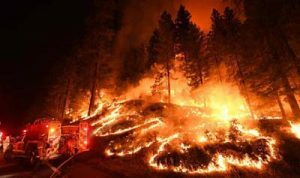 Despite the disastrous effects of the Carr Fire in the Redding area, two hospitals not directly in the evacuation zone remained open to care for the needs of patients. Boarding assistance at participating Northern California VCA Animal Hospitals is based on space availability. Pets should be current on vaccinations, but in case they are not, VCA veterinarians will update vaccinations free of charge. VCA will also offer a free health assessment exam for pets that have been evacuated or displaced due to the fires. Pet owners who have been evacuated due to the fires and need help boarding their pets are encouraged to contact the Northern California VCA hospital nearest them to check on availability.